Last month, I joined Diane's My Kiss & Makeup's First Blog Giveaway and was one of the few who were late in joining. The prizes were quite amazing and I told myself, what would I lose if I joined? Nothing! So I started joining giveaways more actively during that time. The prizes were alluring enough! Makeup from e.l.f., a travel brush set, some NYX lippies, falsies, and laura mercier eye primer (THAT I wanted VERY much! LOL!). One of the benefits of joining this giveaway was I got to know Diane. I frequent twitter a lot and that's how we got to know each other some more! Giveaways help you meet new people, learn new things from them, and in some cases let you earn real friends. I'd like to think that through this giveaway I gained a new friend in Diane and now have a new "group" of blogger friends (tweeties or tweetarts! a shoutout to you all lovelies!) whom I enjoy bantering with at Twitter. Of course nothing beats the actual feeling of winning! I never thought that I'd win! Secretly I already prepped myself that since I was a late entry, the possibility of me winning was quite slim. Still I hoped and prayed about it. Yes, I do pray whenever I join coz I mean, what's the purpose of joining if you don't wish to win! AND well looks like my prayers work! Would you believe that out of all the names to be chosen (more than a thousand entries I think? ), I WON 2ND PRIZE! I was sooooo ecstatic when I found out that really did jump up and down! This was like a day after I won my first giveaway. It feels so good to win something like this and yeah, super KILIG ng bonggang bongga ang feeling ko when I found out I won. I am indeed grateful for the generosity of all the bloggers out there for doing these giveaways. I know some of you even shelled out from your own pocket. Pati shipping in fairness! So thank you once again Diane for this giveaway! She was super sweet and added a few other things besides my actual prize. Hihi. Nakakataba ng puso! Thanks dear! Mwah! 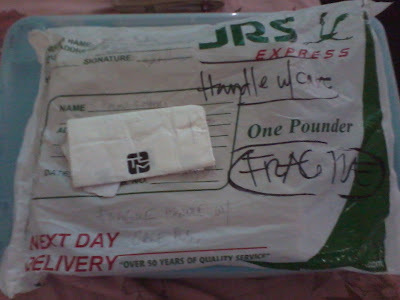 So I will stop my gabbing and go on and show you the stuff that Diane sent me! JRS Express sure delivers fast! I covered my address there. hihi. 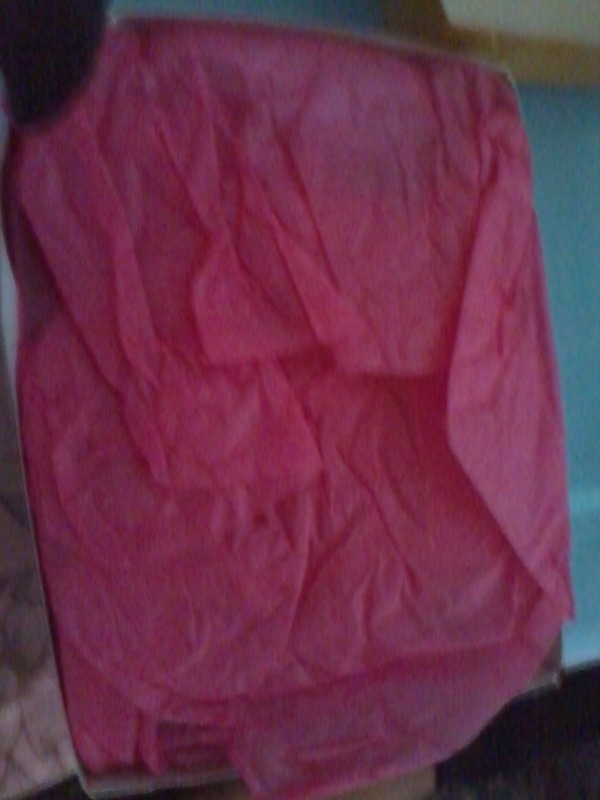 Yes it was boxed and when I opened it PINK tissue wrapping paper! Cute! Sneak peek that I showed at Twitter! Yihee! I felt like a little kid slowly unwrapping my gifts. And yes, I savored each moment of unwrapping! Thanks Diane for taking very good care and precautions in packing! 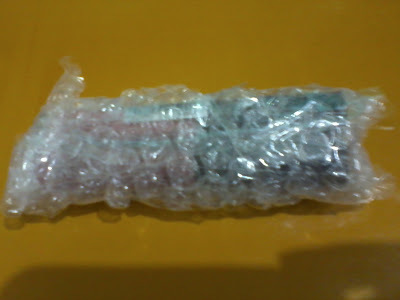 Oh ha naka bubble wrap pa sha! AND HERE IT IS! The complete set that Diane gave me! PLUS a whole other load of freebies! Oh diba! What every girl needs - A complete set of eyeshadow that she can lug around! "professional" and to look casual as well! yay! a new set of eco brushes by elf! LOVE IT! 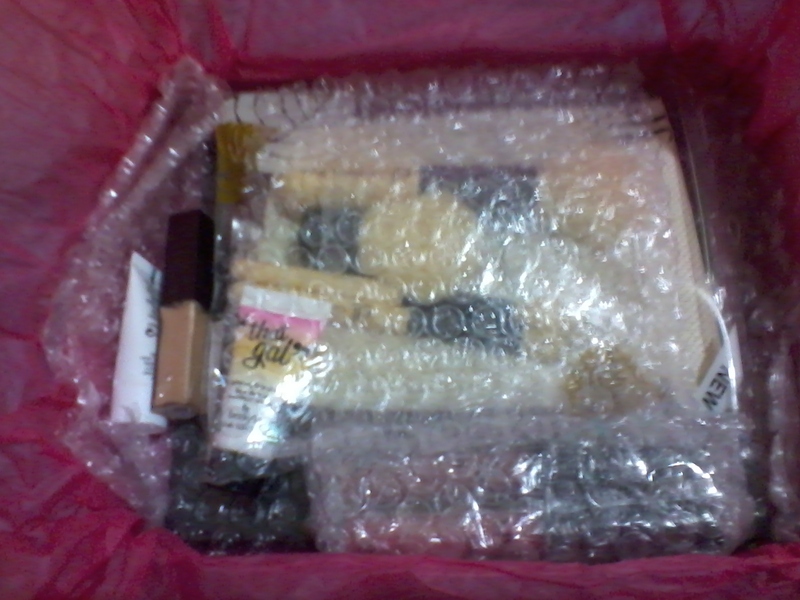 There's my new NYX lip gloss! yihee!! AND MY LAURA MERCIER EYE PRIMER! Yay! by NARS (oh yeah!) and THAT GAL! Yiheee! Kinilig ako! PLUS some LANCOME & SHU UEMERA samplers! AND A LIFE SAVER! Tea tree soap! because of my oily skin. She recommended me this Dermaline Tea Tree Soap. I'm super excited to use it and see if it will do its wonders on my face! And so there you have it! All this glorious stuff for FREE all thanks to Diane's giveaway and me winning it! If I sound noobish and over exuberant over this, pls forgive me. I am counting my blessings and want to give thanks and honor to whom its due. I just want the people who took the time and effort and money to sponsor these giveaways to know how much it is appreciated. Thanks dear from the bottom of my heart! So coffeeholics, hope you enjoyed "unwrapping" these gifts with me! And I know you are probably wishing that you won as well. WELL ITS NOT YET OVER! Please head over to Diane from My Kiss & Makeup and join her other SPA giveaway! I just joined that as well. ALSO, on AUGUST 9, she will be announcing her birthday giveaway (HAPPY BIRTHDAY DIANE!!!) that will be open INTERNATIONALLY! So wait for it! Also, yours truly is holding her own mini FIRST BLOG giveaway! Its my small way of "paying it forward" to all the giveaways that I just won. My giveaway ends at August 20. I remember telling some of my blogger friends about the saying "you reap what you sow." When you give it will come back to you! Coz after I won this giveaway, Diane also just won a giveaway as well! Isn't that awesome! So coffeeholics, have you won a giveaway already? Share share! If not, join mine! Baka manalo ka! hihi!